Even if you missed our Year 12 Mathematics Enrichment Day in June 2015, you can now watch the two plenary talks online. 132 Year 12 students (aged 16-17) from 17 different schools took part in the full-day event on 19 June 2015, which had a special focus on encouraging the development of mathematical thinking. 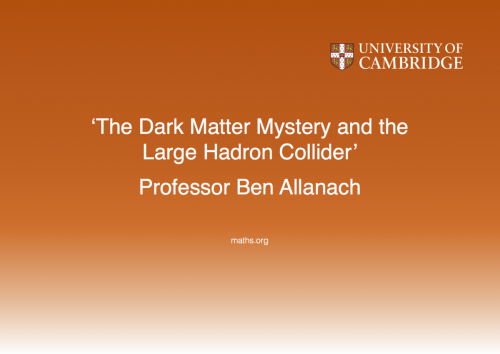 The enrichment day programme included two talks: Dr Vicky Neale explored some fascinating aspects of prime numbers, while Professor Ben Allanach gave an overview of the discovery of the Higgs boson and how current research at the LHC might provide insights into dark matter. In addition, each student took part in two different small-group mathematical workshops over the course of the day. The workshops were run by members of the NRICH and Cambridge Mathematics Education Project team, and explored mathematical topics including number theory, graph theory, geometry and proof through paper folding. To watch the talks, click on the links below. 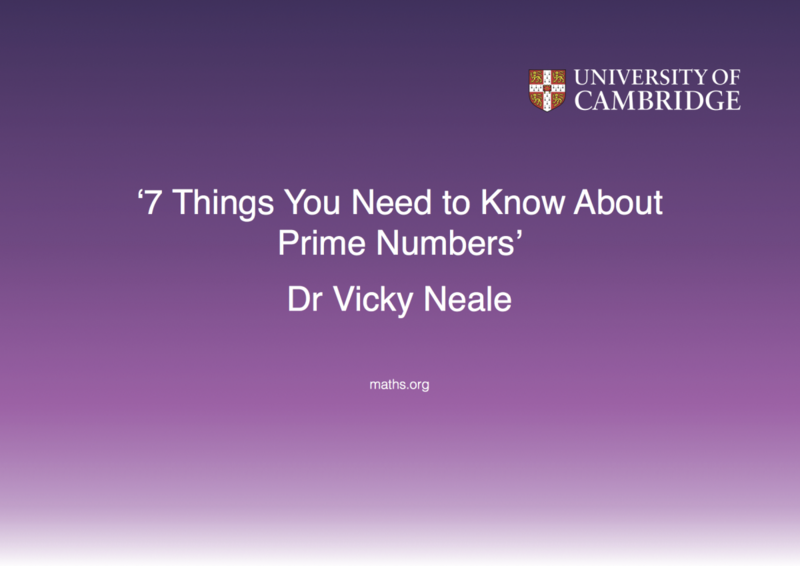 You can also find more lecture videos here, and explore Y12 problem solving resources on our NRICH website. Details of future events for schools are added to our Events page throughout the year, and follow us on Twitter for alerts. Teachers can also register for the free NRICH monthly email newsletter for news about forthcoming school events, as well as updates on new NRICH site resources and CPD opportunities.